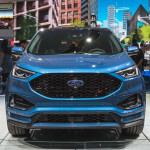 Annual fair trades Detroit Auto Show are full of new and fast cars, new technologies, and of course beautiful women, but we will not write about this in the article. 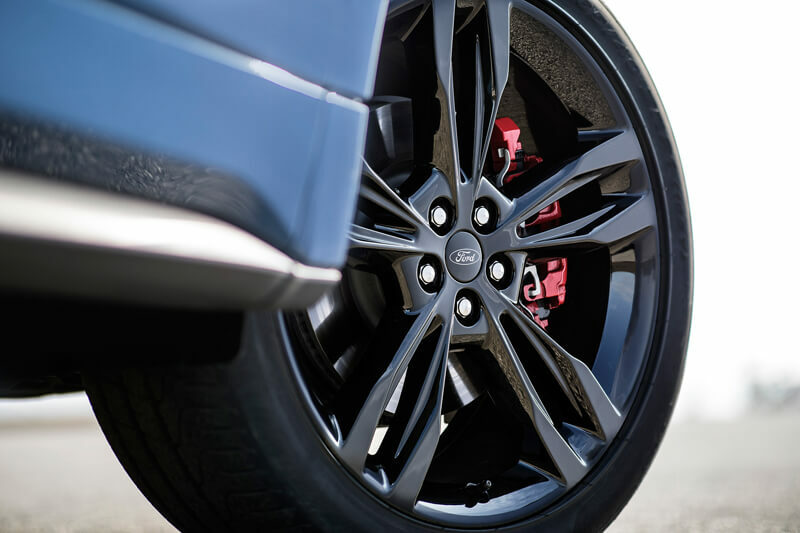 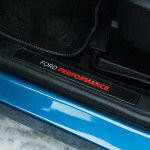 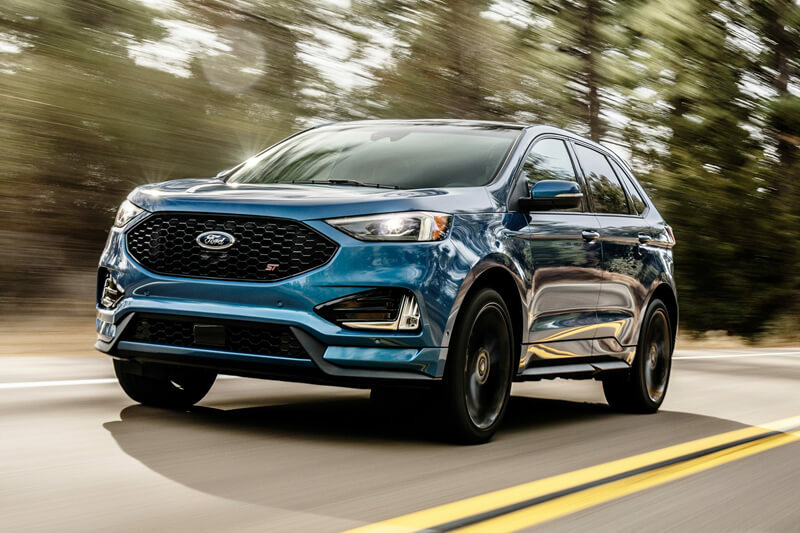 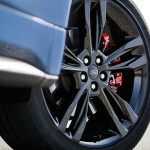 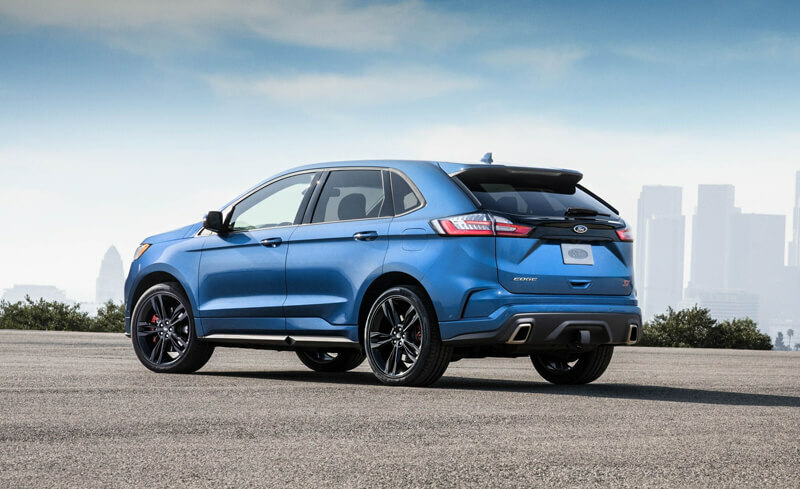 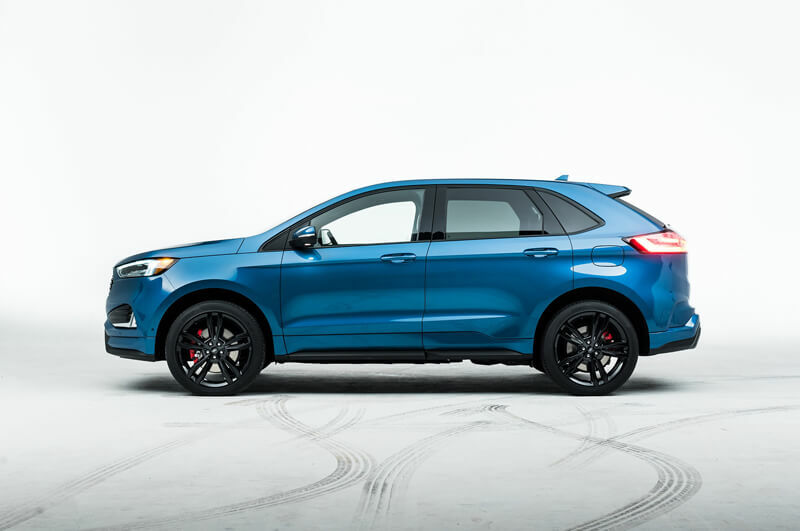 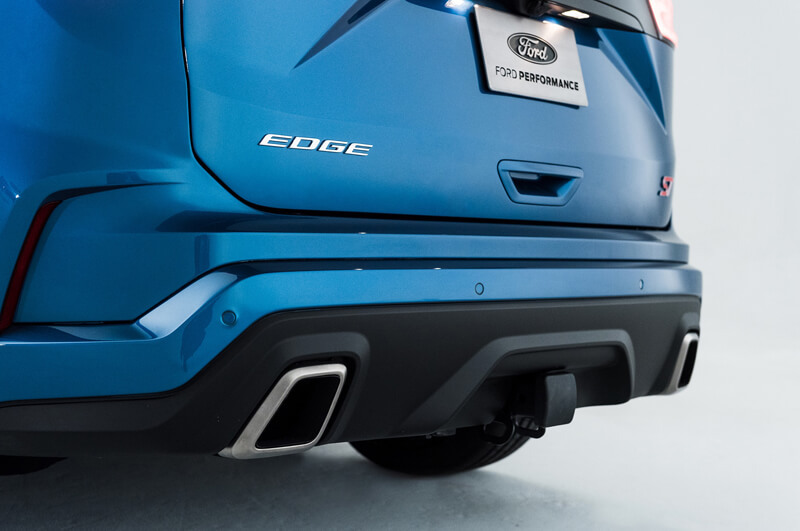 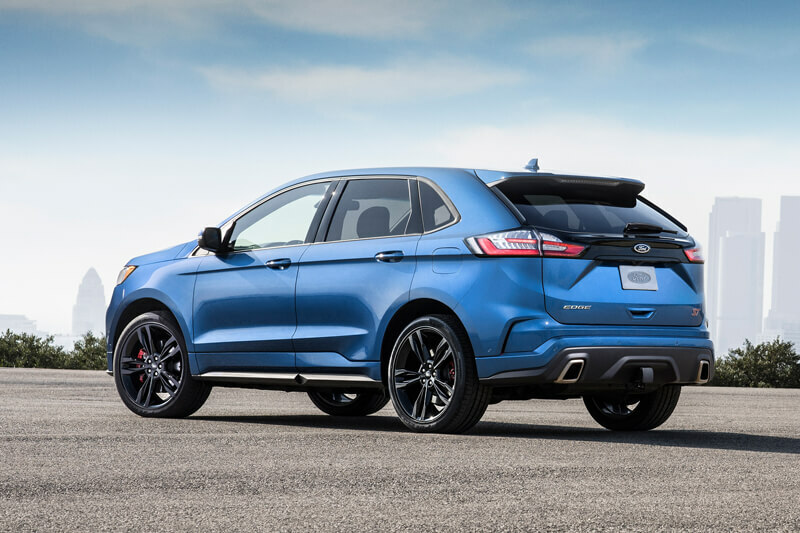 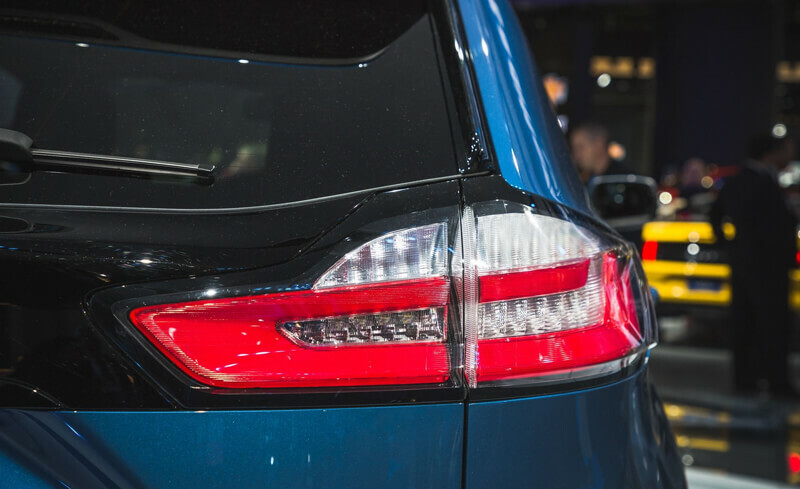 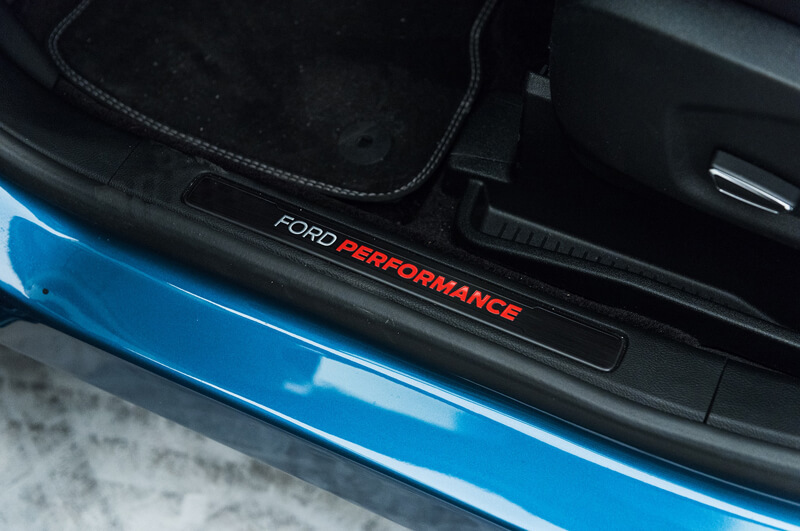 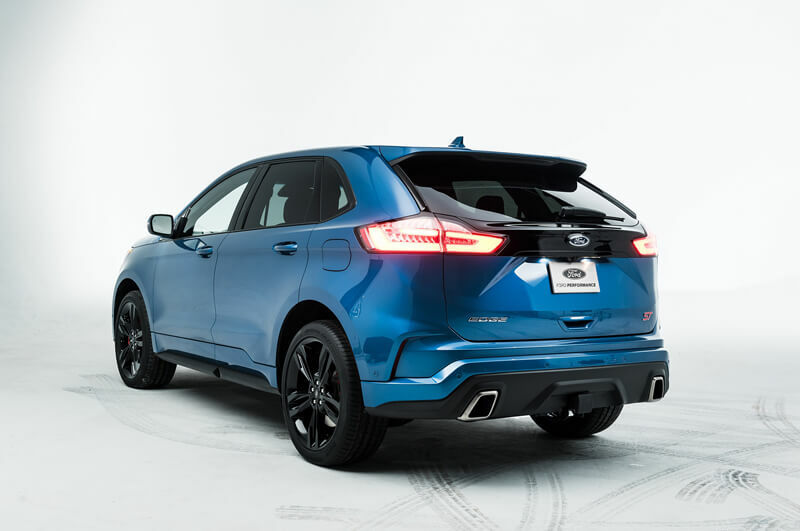 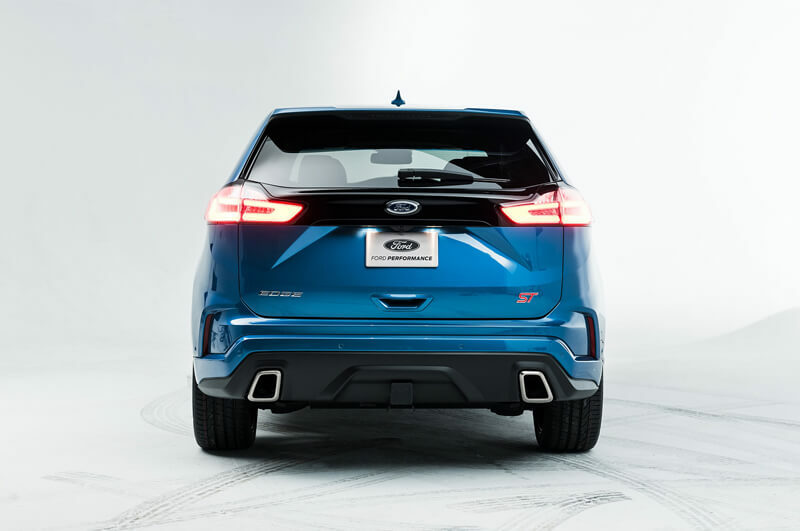 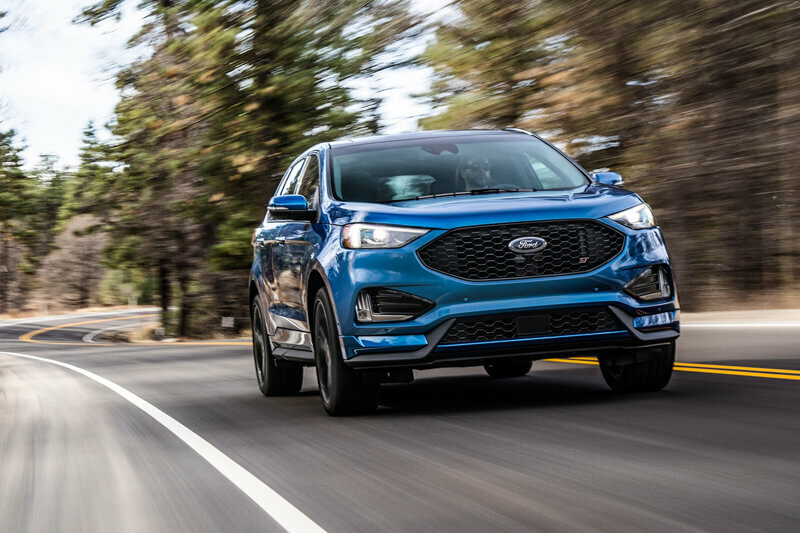 It’s time to introduce a new, faster and sporty SUV from Ford Performance, the Ford Edge ST. 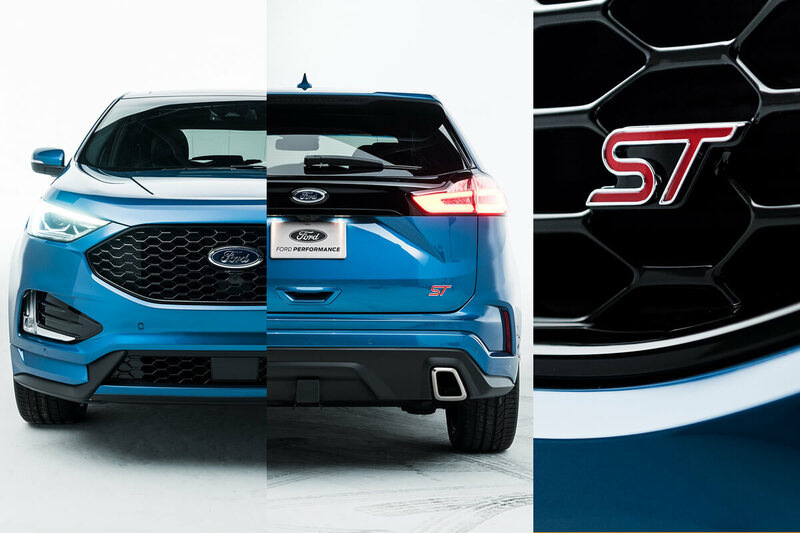 The last time Ford Motor Company presented us this car as a family, safe and large SUV entering the European roads. 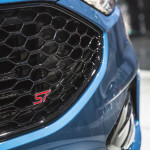 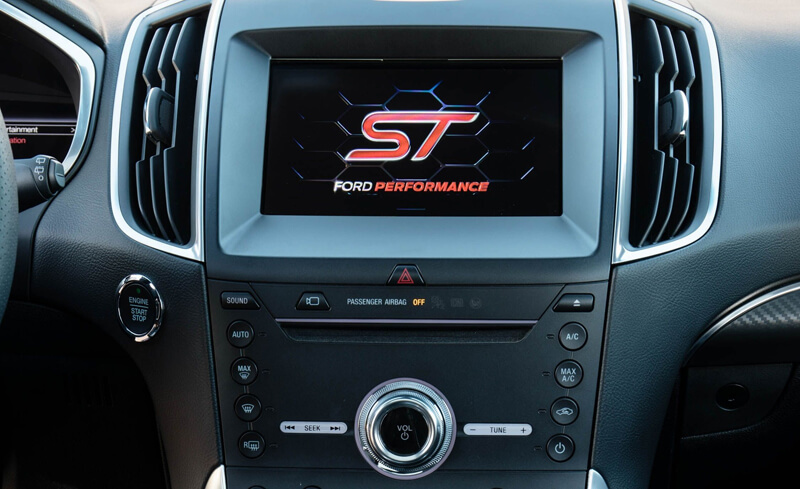 This time, when it hit to hands of the Ford Performance team, we have the opportunity to watch it again as a fast and sporty ST version (Sport Technology). 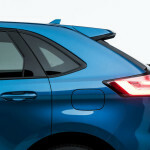 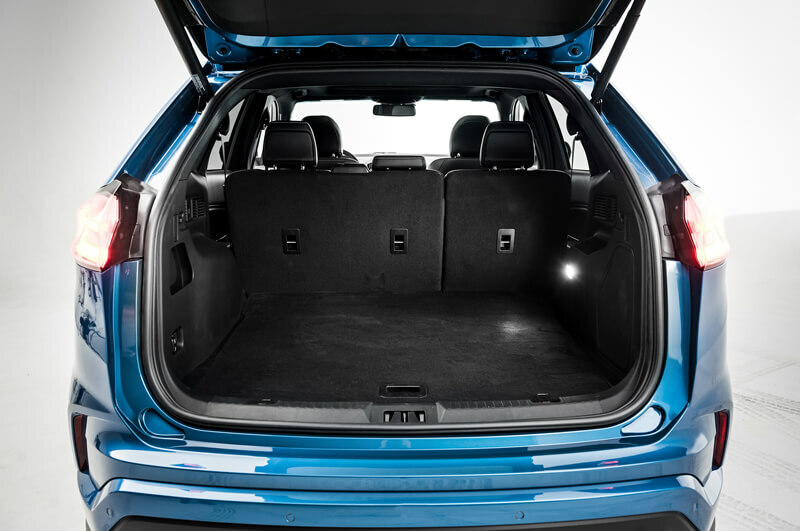 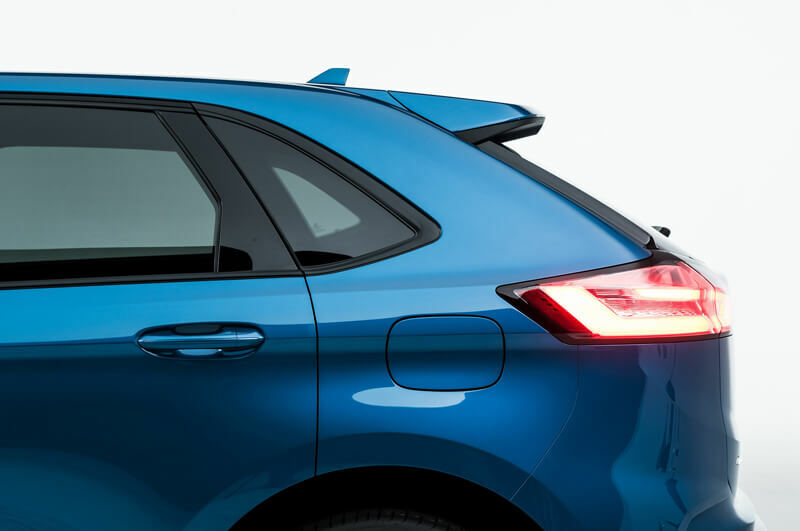 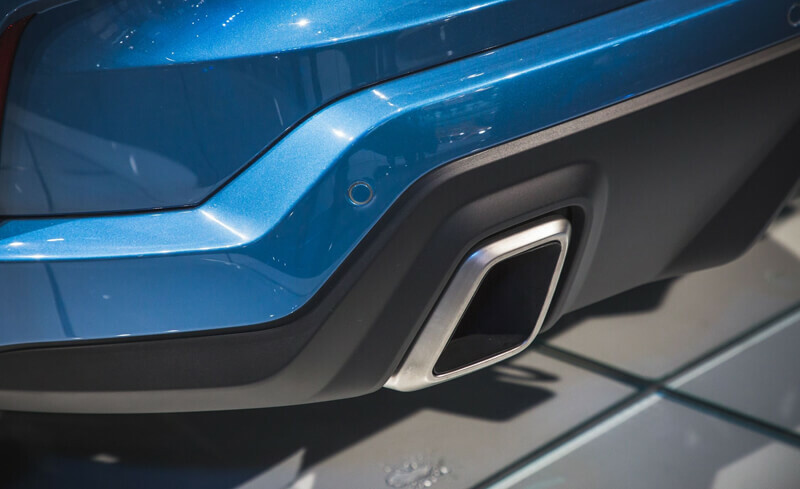 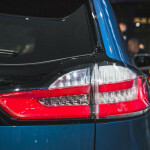 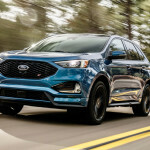 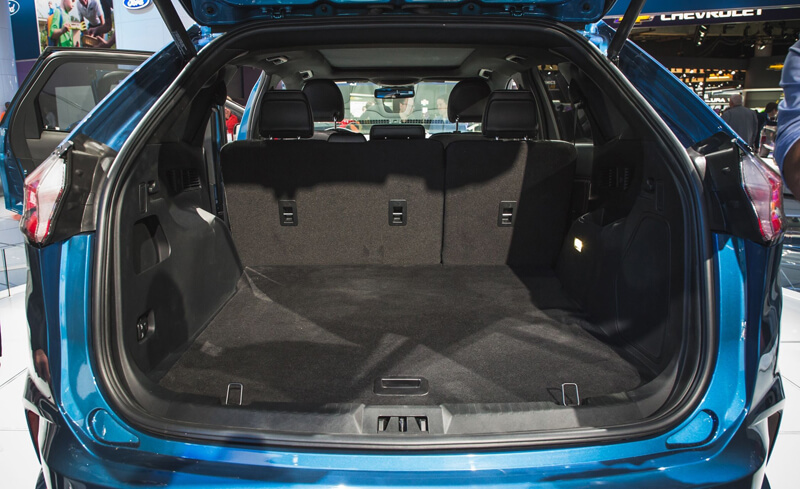 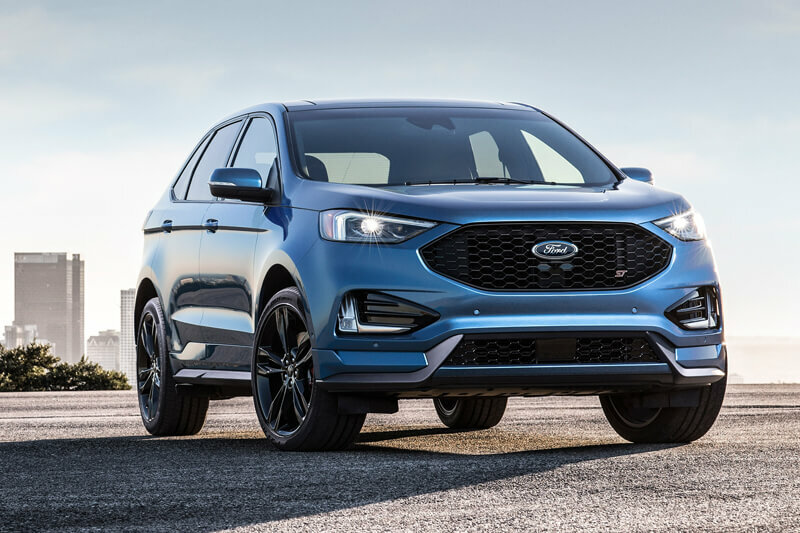 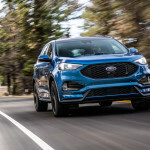 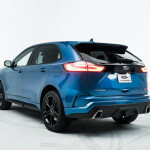 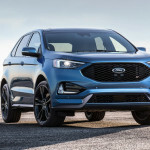 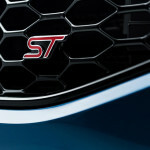 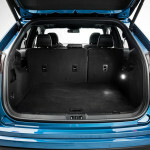 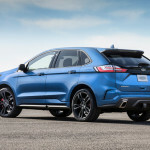 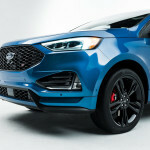 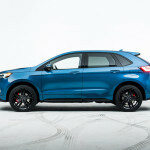 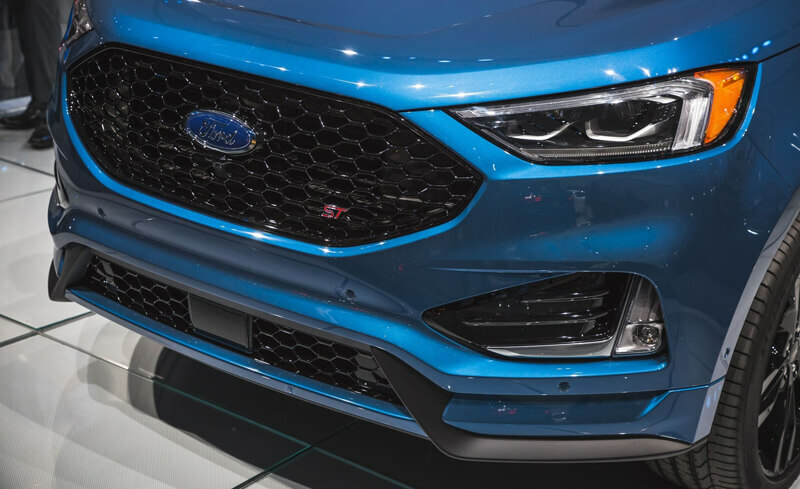 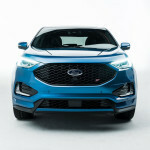 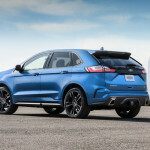 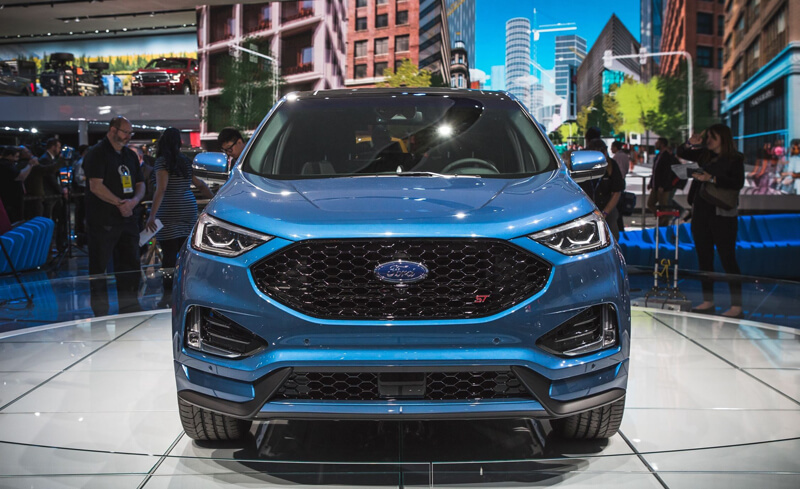 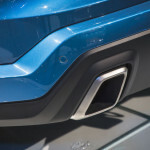 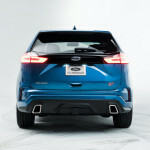 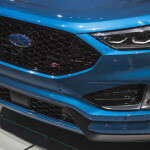 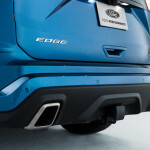 What hides the new Ford Edge ST? 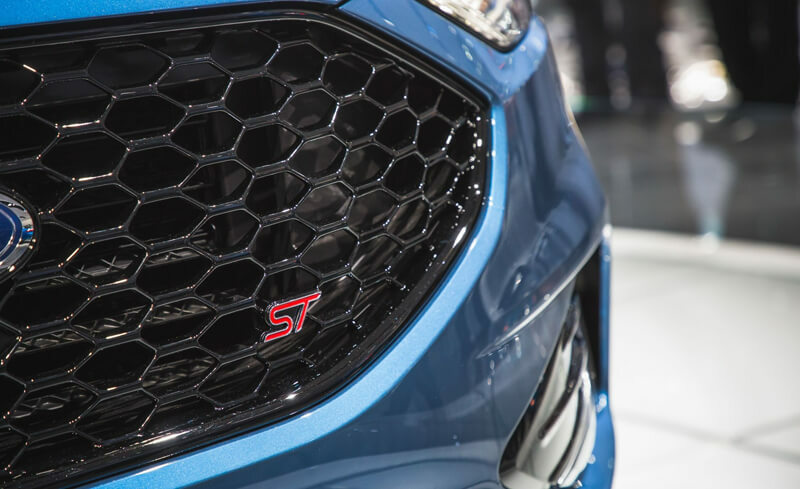 First of all, the great 2.7 EcoBoost engine with 6-cylinders (V6), which is currently installed in the Ford Fusion Sport model. 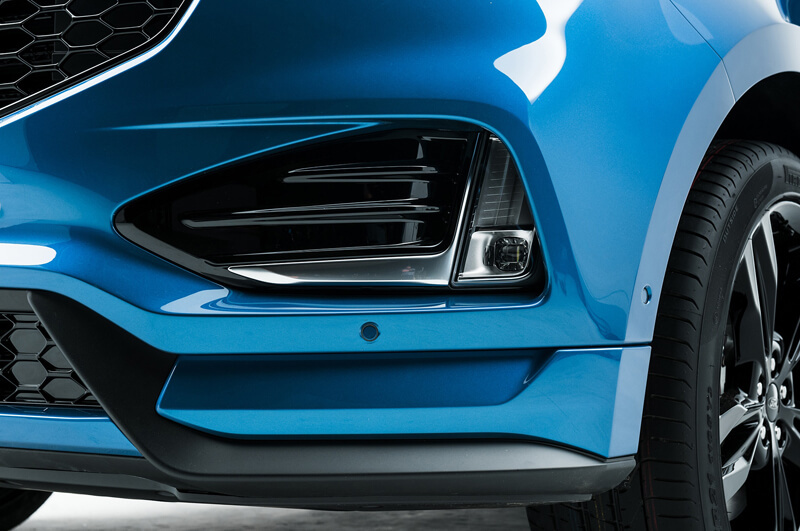 Secondly, power! 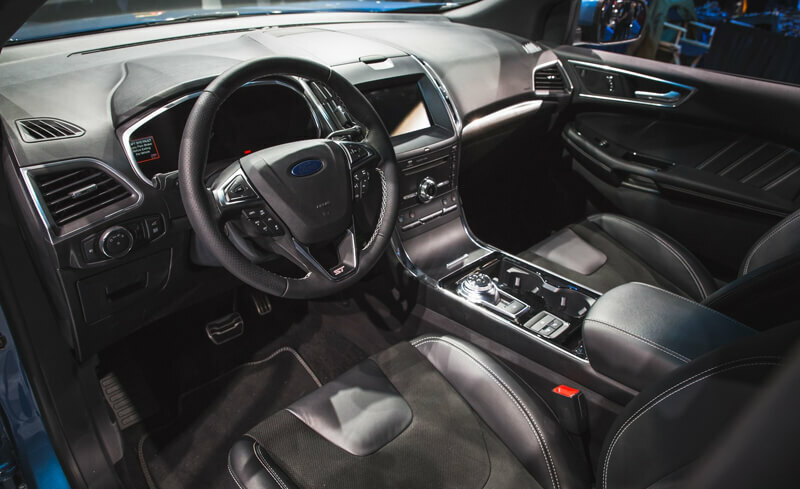 The V6 engine generates up to 335 hp and 380 lb.-ft of torque (515 Nm). 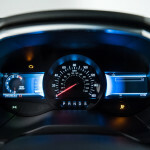 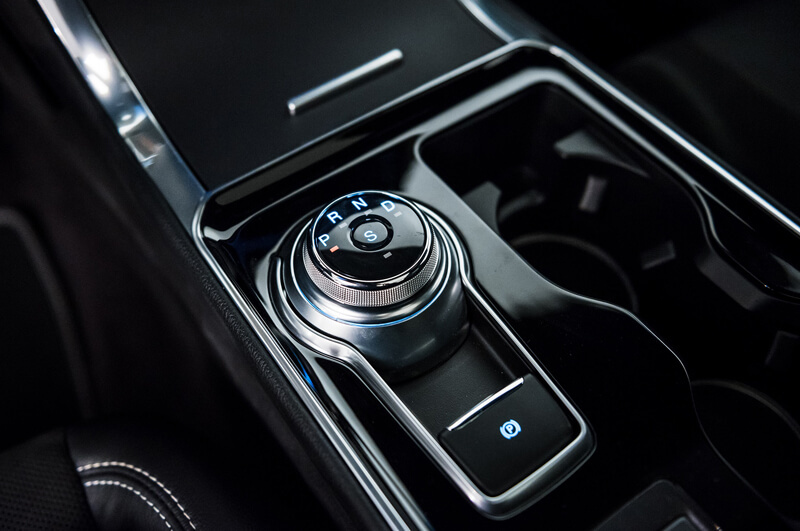 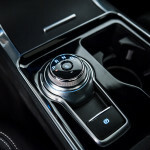 In addition, all-wheel drive has been connected to the engine via an 8-speed automatic gearbox with paddle shifters. 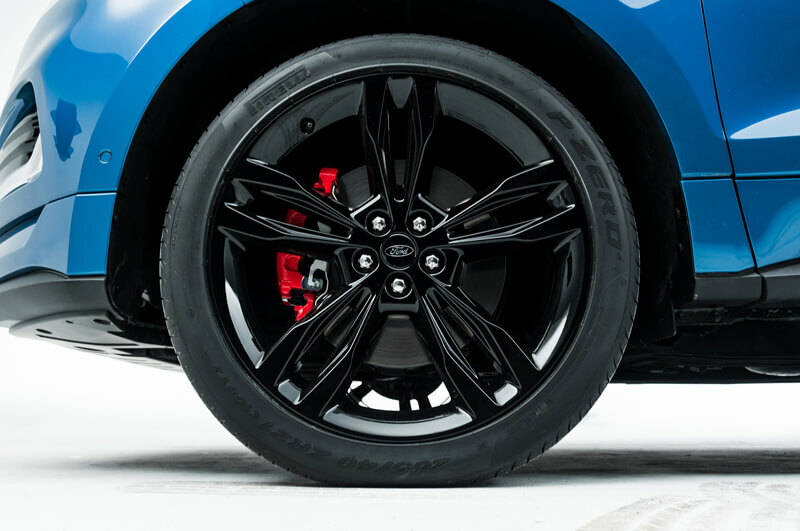 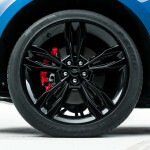 The icing on the cake is reinforced brakes and lowered suspension. 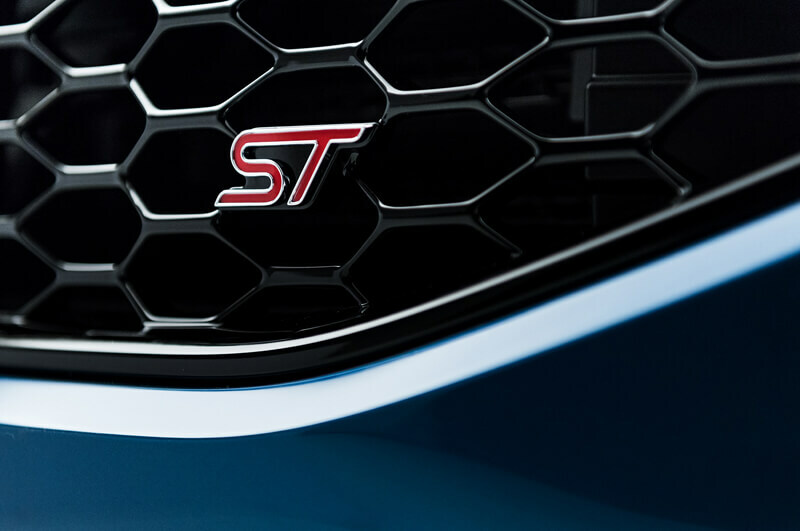 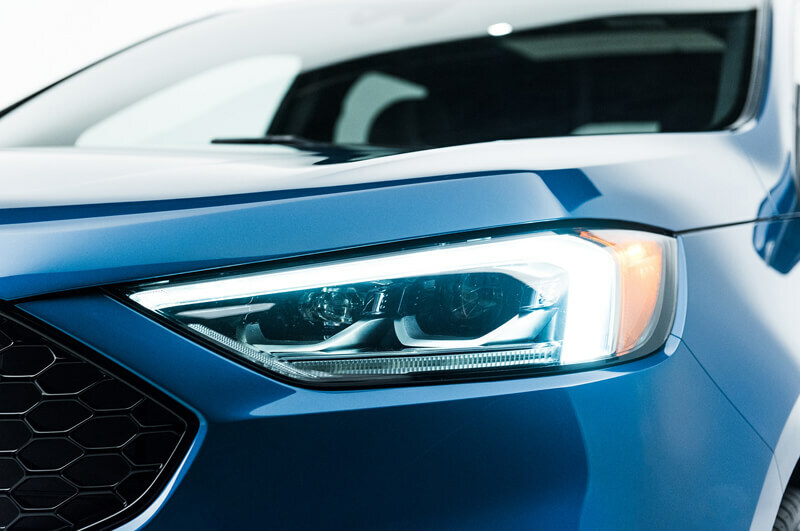 The Edge ST model introduced a number of stylistic changes that distinguish it from the regular version, including modified bumpers, a new grill (honeycomb), known from earlier ST models (Focus ST, Fiesta ST), LED lamps. 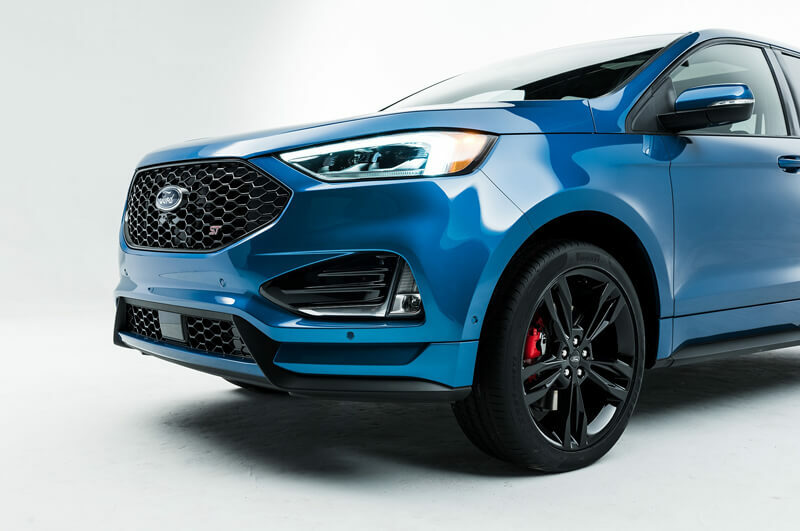 They modified side sills, new exhaust pipe, and also bigger, new alloy wheels. 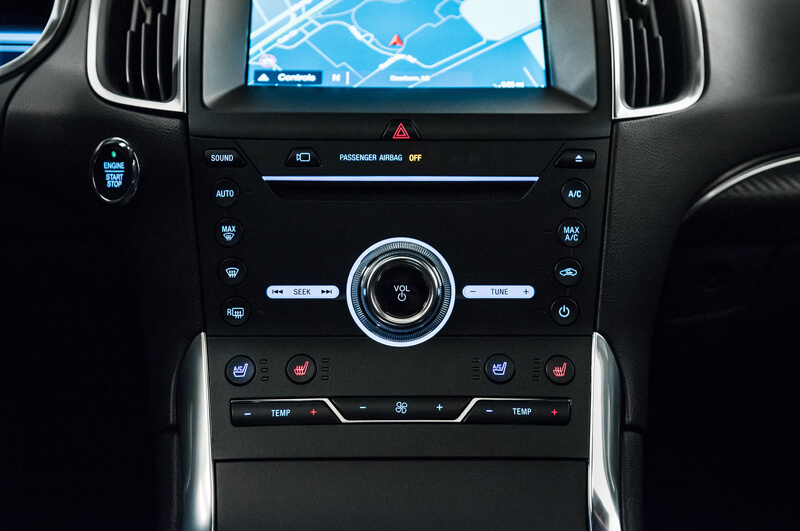 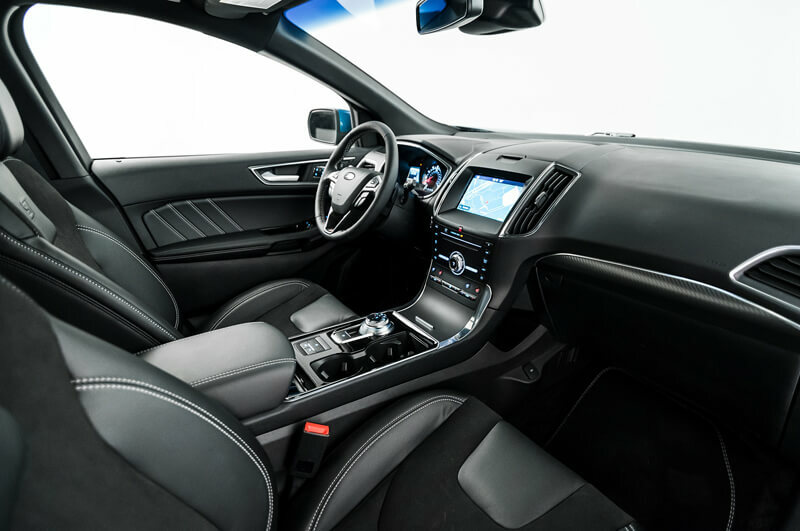 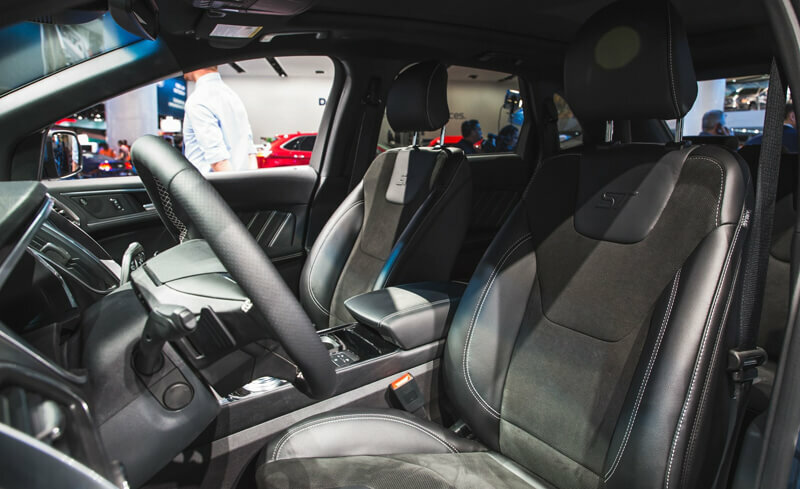 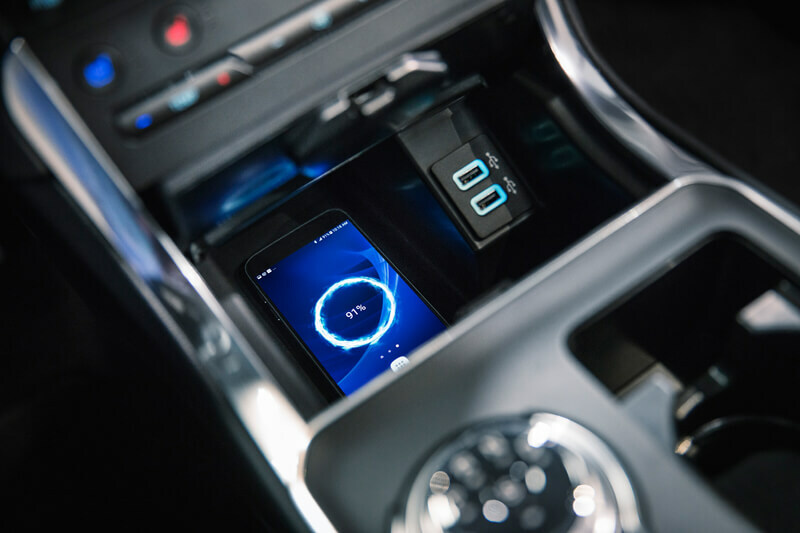 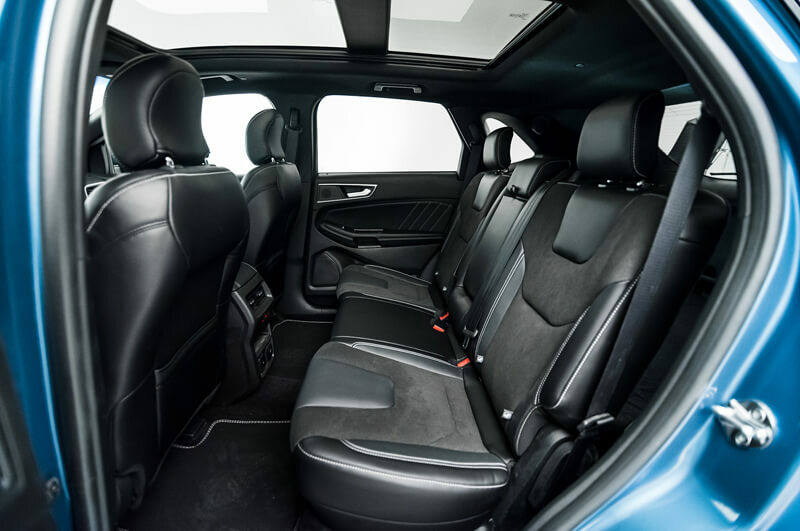 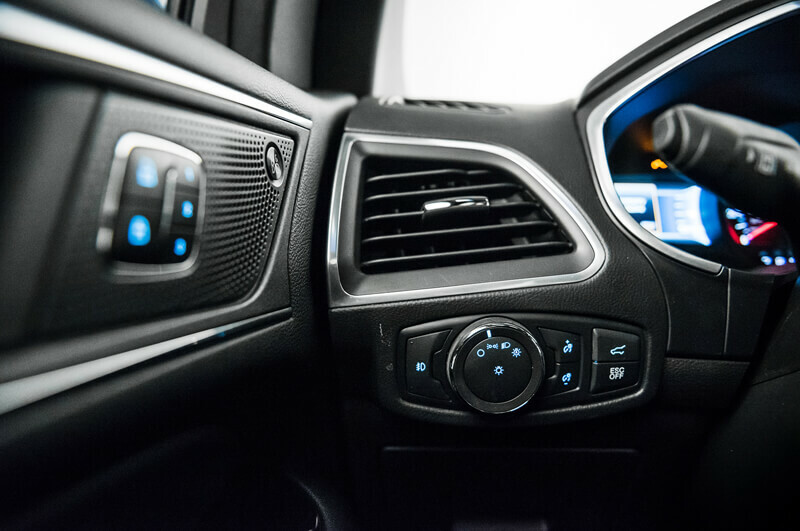 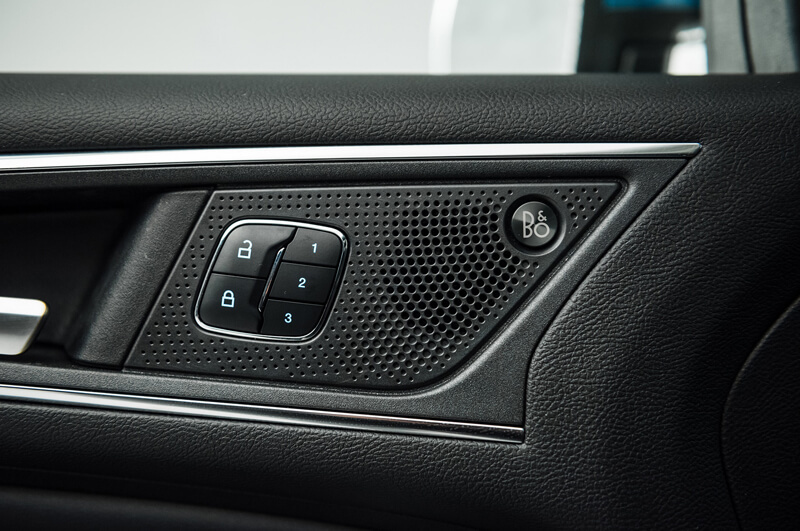 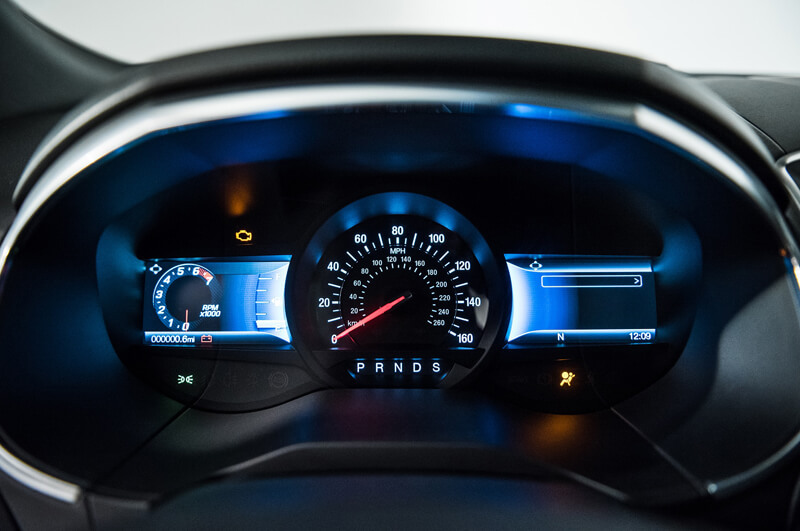 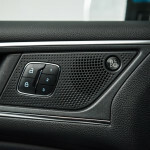 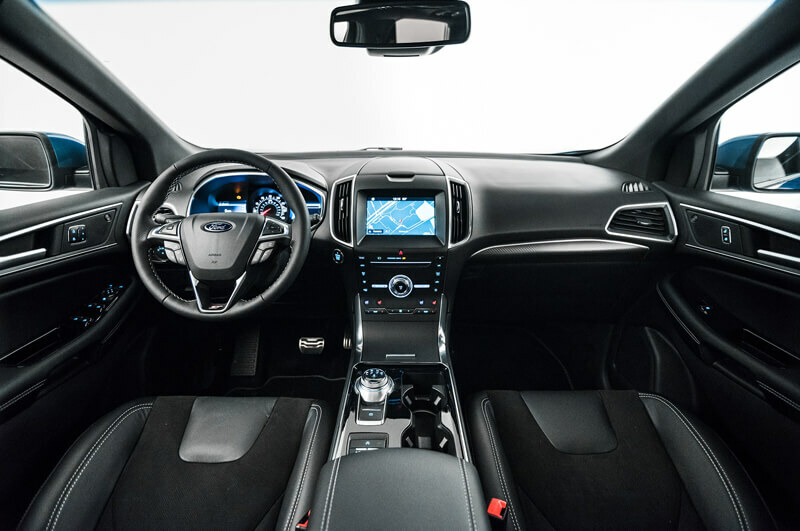 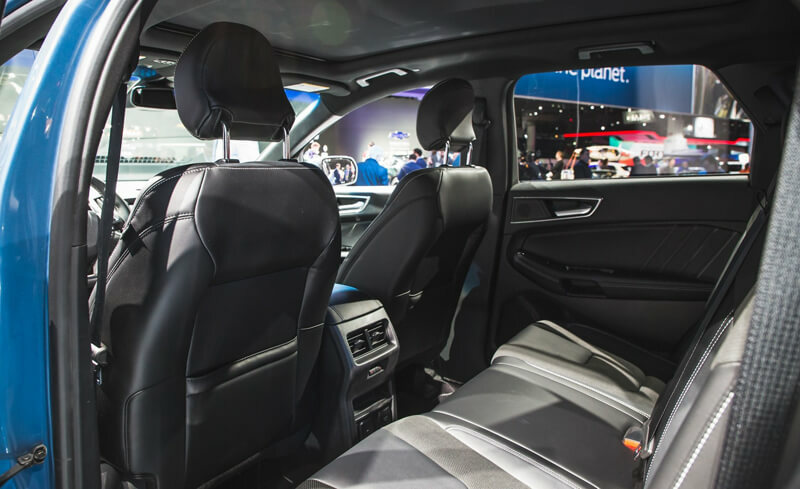 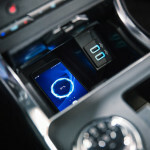 In the interior you will find a knob to change the driving mode, wireless charging technology, a new sound system and the Ford Pass Wi-Fi hotspot. 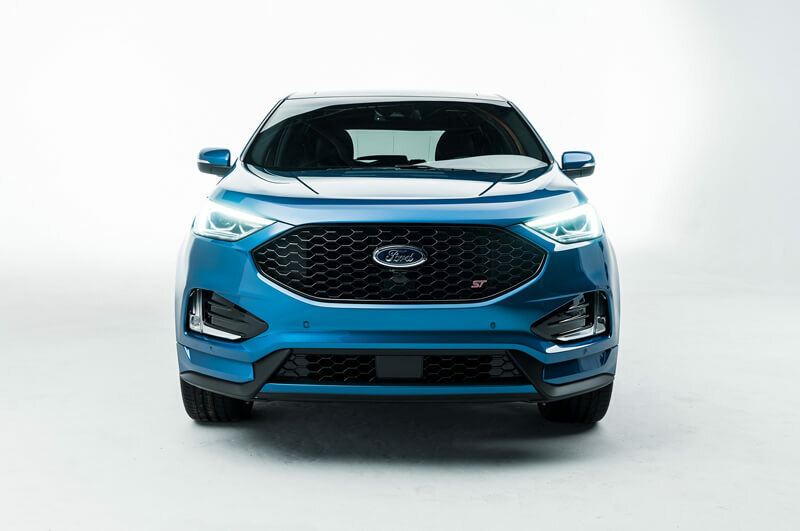 We do not know the date of availability of this car on the European market, but in the United States will be released this summer.